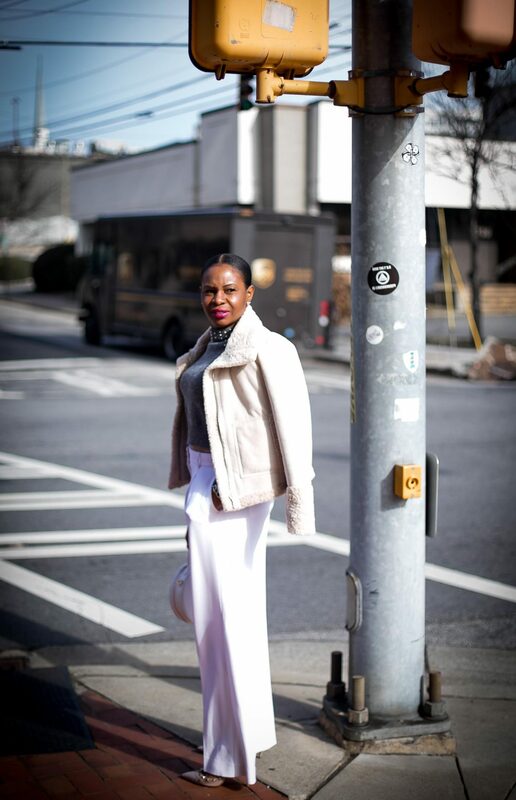 wide-leg white pants and how they can add a lux look to your outfit. Nothing screams luxe like white during the winter. The fact that the color is not practical is what creates the allure of the color. I have a owned a few pairs of white pants in the past, but I have to say my wide-leg white pants our my favorites. Wide-leg pants are classic, and should be in everyone’s closet. A pair of wide-leg white pants are not only classic, but they have the power to literally dress up anything they are paired with. The sweater featured in today’s post cost $30! It features fake off-white pearls and pairs perfectly with the pants. By pairing this inexpensive top with my pants, it instantly elevates the top and the overall outfit. 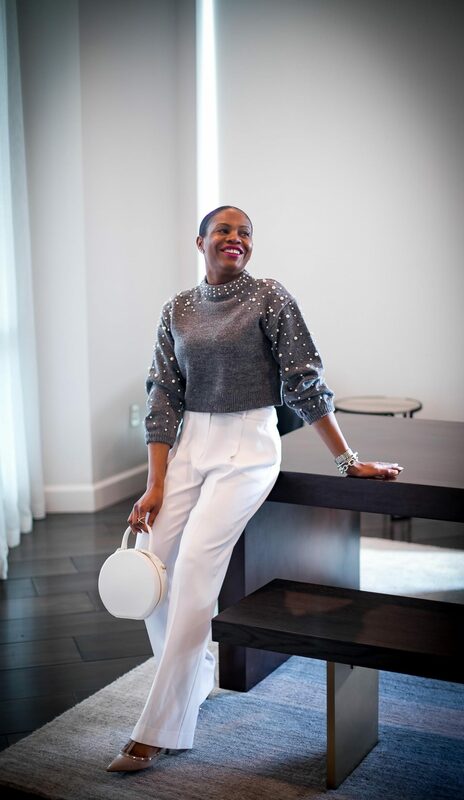 In addition to pairing the crop sweater with the wide-leg white pants, I also added other luxe-classic pieces that where already in my closet to the outfit. My Valentino Rockstub pumps (major splurge), and faux shearling coat pair perfectly in this look. A classic structured bag, and heart shaped diamond earrings complete the outfit to create a luxe look perfect for the cold weather. 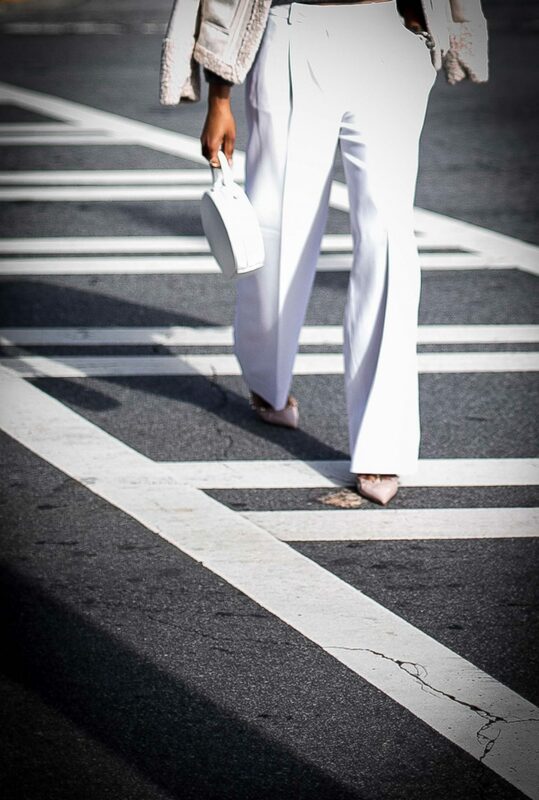 The key to a great pair of white pants are the cut or silhouette and the thickness of the fabric. Here are a few pairs that are cut perfectly, and fit great. The fabric on these pairs are also thicker than a less expensive pair, hence it will not become transparent in the sunlight.